Whether you need a fast Express Lube oil change to major service appointments like a transmission replacement, we employ a highly skilled team of Toyota factory trained service technicians who are ready to go the extra mile to keep you and your Toyota happy and on the road for many years to come. We use factory OEM Toyota parts to ensure the highest quality service. We want to be sure you receive the best experience possible when you bring your car in, let us prove it to you. Give us a call at (424) 298-6830 to schedule your service appointment. Here at Culver City Toyota, our expert technicians who can make sure your brakes are running perfectly. Don’t risk not being able to stop when you need to, get your brakes tested regularly and fixed when needed from Culver City Toyota! Culver City Toyota is ready to help you with any tire needs! Whether you have a flat, need a patch, or have a leak, we can help! Visit our Tire Center for more information, or bring your car in to have our technicians start working! Changing your oil can be such a hassle! 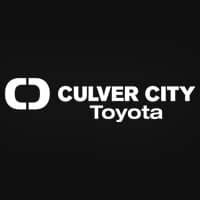 Thanks to Culver City Toyota, it doesn’t have to be! Our technicians can change your oil quickly, and for a price that fits your budget. We will make sure your car gets the type of oil it needs so it will run smoothly, and we won’t try to hassle you on the price. Come in and get your oil changed today! Do I need a Service Appointment for an Oil Service? What does the Service Engine Soon Light mean on the Instrument Cluster? The Service Engine Soon Warning Light is telling you there is something faulty in the emission system of the vehicle. This should be diagnosed as soon as possible to prevent any damage to the vehicle. Where can I get a good deal on new tires? The It may not be well known, but our service center is able to get a great deal on name brand tires. We happily pass this savings onto you. So the next time you need a new set of rubber to hit the open road, come see us!